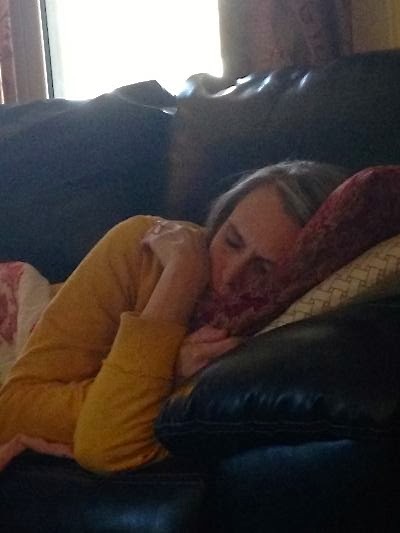 I am immensely thankful for Sunday afternoon naps, especially after the Chiefs win again to make it a 9-0 season so far! Actually, I like naps any day. 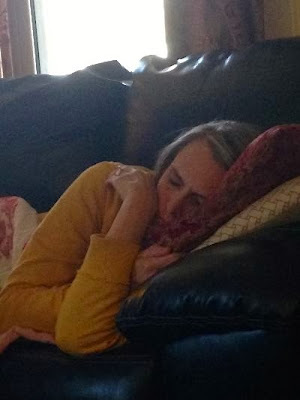 What I don't particularly like is the meanie who took this picture of me napping today, and then anonymously e-mailed it to me for me to find the next time I logged in. Paybacks … that's all I can say. And, can you say 'grumpy sleeper'? Regardless of the icky picture, that little power nap was awesome and I am thankful for it! !